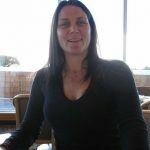 Delphine Cam is a substance abuse counsellor with over 15 years experience, working with families and teenagers suffering from addiction issues. Delphine is based out of Vancouver B.C. Her counselling skills are extremely beneficial for families who have loved ones experiencing mental health disorders and substance abuse disorders, including alcohol and other drugs, process addictions such as gambling and video game addiction. One of Delphine’s greatest strengths is her ability to create movement within the family, helping loved ones accept needed treatment. She works one-on-one with other professionals, therapists, drug and alcohol interventionists and treatment centres to ensure families and clients have success. Delphine works closely with families and clients suffering from addiction issues the whole time the addict or alcoholic is in treatment. Sometimes intervention clients can need extra one on one support while getting ready to leave a residential treatment program. Delphine offers professional support to the families and clients during their aftercare program. Once drug and alcohol interventions are complete, family members are guided towards appropriate resources and continue in a Solution-Focused Coaching relationship with Delphine. This allows the family to discover new ways to live while facing the trauma they have been through and learn how to recover and get healthy again. Addiction doesn’t just affect the addicts or alcoholics. Addiction also affects the whole family. Delphine has been a drug & alcohol counsellor in Vancouver, British Columbia for over 15 years and specializes in substance abuse disorder. Delphine has participated in interventions in Vancouver, Montreal and as far as Thailand. Before getting into private addiction counselling, Delphine was a youth addictions counsellor at the young offender’s jail in Vancouver, Canada. Delphine also specializes in working with youth, both female and males, that suffer from addiction-related trauma and criminal behaviour.